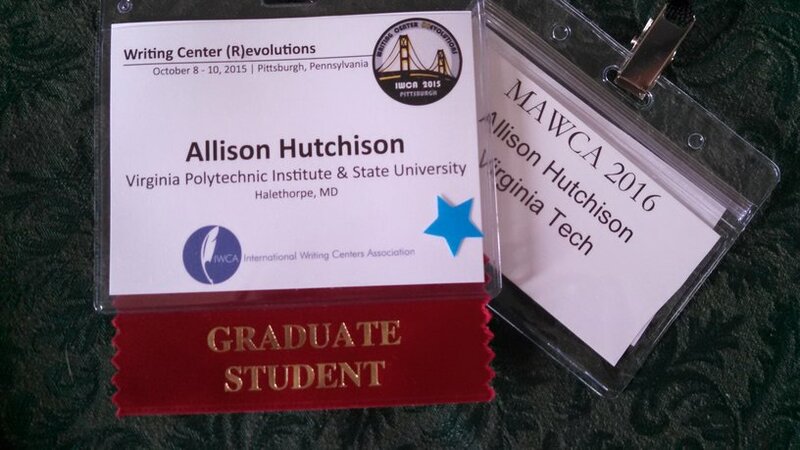 I'm a fourth-year PhD candidate in the Rhetoric & Writing program at Virginia Tech, a writing center ninja, and a music aficionada. I am an experienced educator in both online and face-to-face settings with a strong passion for student engagement and success. I love learning, teaching, and tutoring. My goals are to teach writing, direct a multiliteracy center, and improve my ninja skills. My axiom in all of the above situations is, "If we're not having fun, we're not doing it right." "Assessing the Feasibility of Online Writing Support for Technical Writing Students"
In this project, I study the feasibility of creating online tutoring services for students enrolled in the technical writing service course. Blending user experience and service design methodologies, I surveyed and interviewed key stakeholders in order to design a digital studio that offers resources and services that best meet their needs. 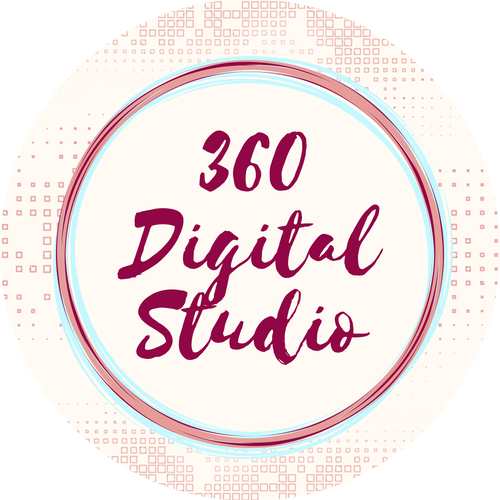 The 360 Digital Studio opened as a pilot study in Fall 2018 with myself as coordinator, another graduate student as assistant coordinator, and three undergraduate Professional & Technical Writing majors as interns. Using Cheryl Geisler's (2004) systematic coding approach to verbal data, I coded and analyzed 100 mission statements from writing centers in the United States. After an initial round of analysis focusing on the representation of writing center work on websites, I developed this research question: What kinds of claims do writing centers in the United States make about the benefits of their work through mission statements posted on their websites? I used a criterion method to extract sections of mission statements into a spreadsheet that were then segmented for coding. Seven benefits of writing centers emerged from the data: epistemological, critical thinking, independence, success, research, writers, and supporting the institution. The inter-rater reliability is 90%, and the Cohen's Kappa calculation is considered good at 0.722. As co-chair of this task force, I helped collect data about the labor conditions of Graduate Student Instructors (GSIs) in university writing programs in the United States. Our goal is to make this information public and available so that WPAs, prospective GSIs/TAs, and current GSIs/TAs can have a better understanding of the labor conditions at specific universities and larger trends across the country. We are currently compiling results and a report to share with WPA-GO and any other interested parties soon. Click the links below to view some of my syllabi. Teaching this course online in 3 abbreviated semesters, I exposed students to technical genres such as research and goods and services proposals, progress reports, infographics, and instructions. I held online office hours and provided video feedback to students in an effort to create immediacy between them, the course content, and myself. Students could also contact me via Google chat with more urgent questions. Finally, I employed a user-centered approach by surveying and gathering feedback from students to ensure the online course used principles of visual and information design to make course content easily accessible and navigable. Students closely analyzed the structure and content of scientific journal articles in IMRAD format and traced connections between scientific writing and classical and current rhetoric. After exploring writing about primary scientific research, students interviewed VT science students and wrote spotlight stories about their research. The interviews highlighted the research of women and people of color in the sciences. The course culminated in a collaborative project focused on science writing. Students were responsible for developing the content and format of this project in partnership with the Center for Communicating Science and under my advisement and direction. I assigned texts that introduced students to rhetorical, feminist, postmodern, and other theories relevant to professional writing. Students created multiple assignments in professional writing genres, such as informational reports, user documents, recommendation reports, and job application packages. Not only did they learn about writing for workplace settings from readings, but they also interviewed professionals who write as either a main or or secondary component of their jobs. I emphasized that they compose documents intended to solve problems or help readers make decisions. Materials Science and Engineering 2884 is designed to prepare students to meet professional expectations for their job application packages, interviews, presentations, teamwork, and communication skills. For instance, I coached students to improve their ability to describe their interests in particular materials so that global, multidisciplinary audiences could understand the material’s application. Students also gained experience using non-technical professional skills as well as communication skills important to engineering practice. As the course title suggests, students learn the introductory principles of materials science and engineering, including the structure, properties, processings, and performance of basic material groups such as polymers, ceramics, and metals. My role was to prepare students for writing a critical review of materials paper in which they researched a material, described the four fundamental areas of the material, and argued for its use in a specific application. I taught various iterations of this course at an online university and two community colleges. Each version emphasized gathering, synthesizing, and citing secondary research; writing in informational, persuasive, and reflective modes; and learning aspects of academic writing meant to prepare students for additional courses requiring researched essay writing.